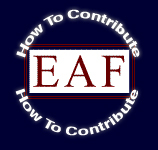 The Educational Advancement Foundation is a 501(c)(3) philanthropic organization that supports (1) the development and implementation of inquiry-based learning at all educational levels in the United States, particularly in the fields of mathematics and science, and (2) the preservation and dissemination of the inquiry-based learning methodology of Dr. R.L. Moore (1882-1974). The Trustees are guided by the principle that The Educational Advancement Foundation should serve as a stimulus for action, providing seed funding for projects with the potential to have a significant impact on inquiry-based learning in the United States. The Foundation maintains that providing more opportunities for students to become actively engaged in their own education will aid in increasing the mathematical and scientific skills of America's citizens. This can be brought about by helping to ensure that teachers have the ability and opportunity to practice their choice of the most effective of the spectrum of inquiry-based teaching methods.